4 Beds 2 Baths 2,208 Sq. ft.
Price reflects need for updates to kitchen, baths and more. Sold Strictly As-Is. Bolton Hill Townhouse backing to the Rutter St Park. 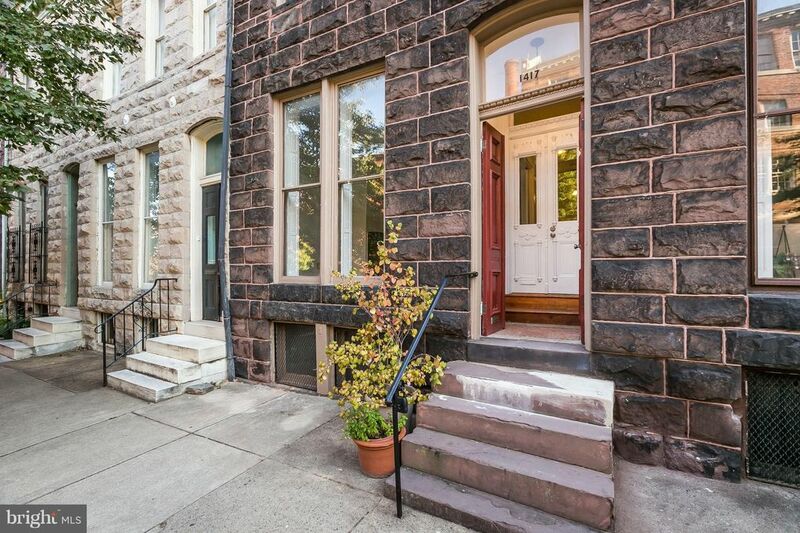 Fantastic opportunity to buy into Bolton Hill for only$375K. Freshly painted top to bottom. Move right in! Many original details remain including two decorative mantels, pocket doors, shutters, original banister and newel post. Large Living Room with Built-Ins, Large Kitchen with Bay window for dining space, 4 Bedrooms (2 of the bedrooms have adjoining nursery/dressing room/walk-in closet space, 2 Baths. Sweet deck and petite brick patio off the kitchen overlooking the park. Full basement with laundry and storage. Central AC, Gas Boiler with HW Baseboard Radiators. Wood Floors throughout. This is a fantastic location, steps to On the Hill Cafe, MICA, Penn Station and MARC Train to DC, Light Rail, Bolt Bus to NYC, Hopkins Shuttle and more! This is an as-is sale. All inspections are for buyer info purposes only. Many updates have been made by the current owner. The seller will make no repairs. The sewer line was replaced 2018. This property will not last long.